I’ve heard SO much about this eyeliner over the past couple of years and following my semi-disappointment with my Illamasqua Precision Ink, I was in the market for trying out something new. Combine this with a late night mooch around eBay, and the rest (as they say…) is history. Kiss Me Heroine Make Smooth Liquid Eyeliner is the finest-tipped eyeliner pen I’ve used. It’s a brush tip rather than a felt tip and the bristles hold together tightly to provide a very tight line. I find the formula to be quite watery and it can bleed a little but thankfully dries very quickly. For a very dark line, you’d need to make a couple of passes which is a shame. I paid around £10 for mine (inc. shipping) which brings it well under high-end prices but toward the top end of high street. It does fade throughout the day and I’m not going to give this holygrail status simply because I’m not completely sold on the formula. The precision brush though? Well, it’s an absolute dream for winging out. The above photo shows one pass and you can see that it could do with a second swipe, there’s a hint of feathering but check out that sharp wing! Kiss Me Heroine Make Smooth Liquid Eyeliner is available to buy on eBay (prices vary). What’s your favourite eyeliner at the moment? I’ve been reading yout blog for about a year now and I finally decided to post a comment I have the kiss me heroine make liner as well and while it is pretty decent, the best black liquid liner (that I’ve used anyway) is by another Japanese brand called K-Pallete. 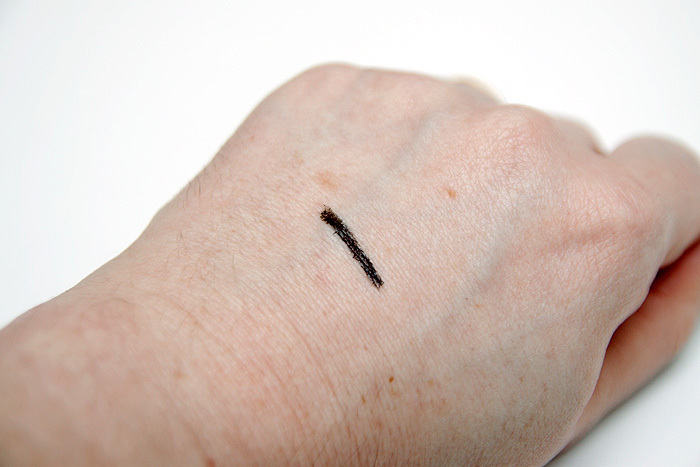 The tip is really thin yet it has really good pigmentation and is really black! 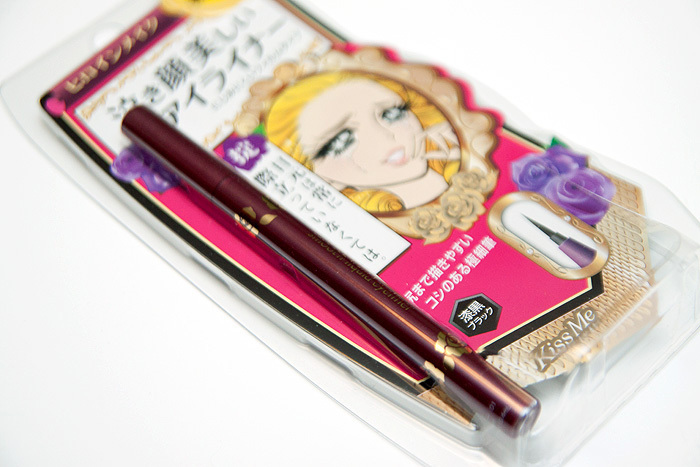 I’ve tried about 5 different Japanese-brand eyeliners and that one is really great, definitely my favourite! 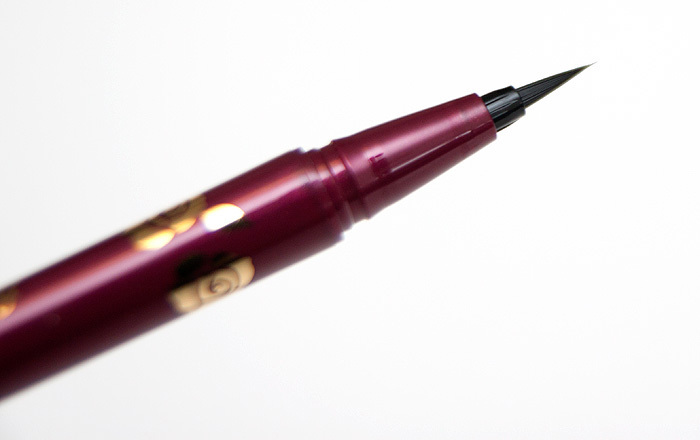 I love these kinds of eyeliners – pens are always my favourites! Perhaps it would be good for uni as it is not too dark or obvious, however, I feel that it would fade too much throughout the day and leave me feeling a bit naked. Oooh, I do like eyeliner pens. And cute Asian packaging is always a plus. I might have to check this or the K-Palette one out. This is definitely a makeup staple in Asia! It looks super cute, shame it’s not totally black. My current favourite is stila’s stay all day waterproof eyeliner pen. It does on really smooth and it doesn’t budge. Plus the tip is thin enough to get a nice wing. The bleeding would definitely kill this for me. My skin is dry & if anything has even the slightest tendency to bleed on me, it does. I am wondering if this would be as prone to bleeding if it were applied over an eyeshadow (since that’s always how I do mine anyway). If you get the chance,id love to know! 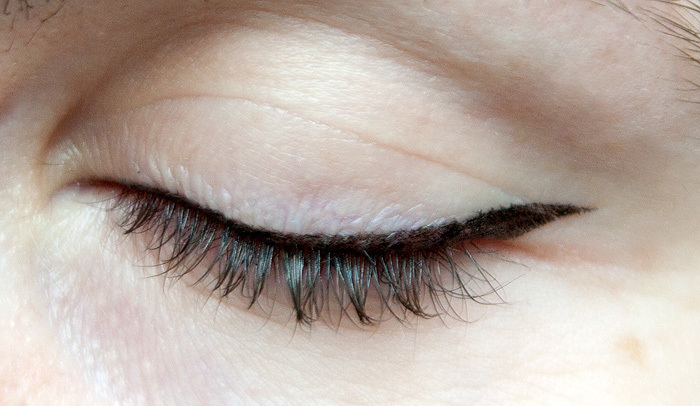 I agree with what you said…this liquid eyeliner bleeds a little and you need to shake it hard and then test draw it on tissue before getting a dark line. I prefer Dollywink and I heard K-Palette is excellent too.